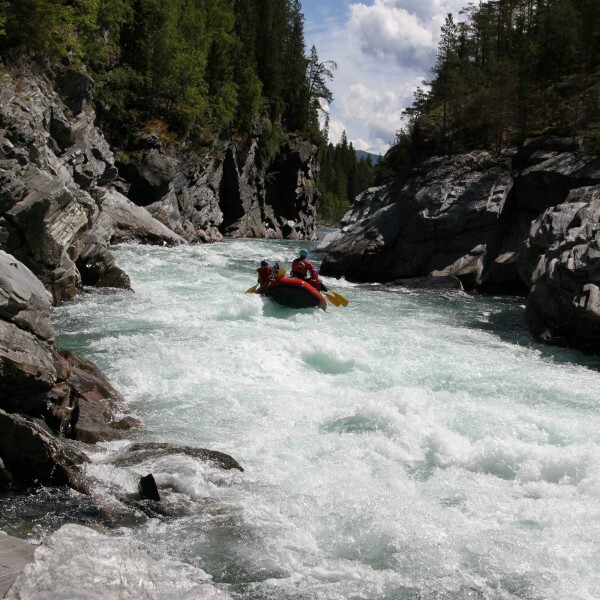 Rafting day trip with lunch through the exciting Åseng-canyon on the first day, and an even more exciting activity in the water the second day. Price/person from kr 3295,- incl. 2 nights, 2 breakfasts, 2 lunches and 3-course BBQ dinner. Canyoning is suitable for everyone of normal health and fitness. Participants have to be able to swim in certain types of canyoning. The minimum age is 15 years. The minimum age for family canyoning is 10 years, and you have to be accompanied by your parents/a person in charge.